VisaApplications.org believes there should be visa free travel throughout the world - if you agree, leave a comment in support at the bottom of this page. If there have to be visa requirements, we believe it should be once-off with visas issued for a period of 130 years, so that all most people only need to get one visa in their lifetime. Note that it's possible that details have changed, and you must always check the latest official rules at the embassy of the country you are travelling to. It is also possible that you obtain a valid visa, but immigration authorities turn you back at the border - they are the ultimate arbiters. Are you a South African planning on going overseas? Preparation is key when it comes to travelling. Aside from packing your bags, saving cash for pocket money and making sure that you have all your necessary toiletries and prescribed medication, a visa may be necessary, depending on where you are going. In applying for the visa it is key that you don't rely on advice from social media. And in particular ignore any advice to lie on your visa applications - this could result in your arrest. Always work through official channels. In order to travel out of the country everyone needs a valid passport. This is applicable even when a visa is not required! Often the passport even has to be valid for a certain period after the planned return date, as governments worry that there may be unforeseen circumstances resulting in you staying in the country longer than foreseen. We advise to always have at least 9 months left in your passport before it expires - most countries only require 6 months validity. Passport applications used to be a troublesome, long procedure often involving long queues and waiting periods. In order to cut back on this you can now apply for your passport at selected banks. Nedbank, Standard bank and FNB are all participating. They are working on signing ABSA on as well. As this is still being rolled out, it would be best to consult your nearest bank to find out whether they are participating in this or not. You can still apply for your passport at your nearest Department of Home Affairs as well. All you need is a valid South African passport with at least 6 months validity before it expires, measured from the date you leave Qatar, and a valid flight ticket out of Qatar. South Africans will be given a visa as they enter Qatar, free of charge. One of the advantages of the SA government being bosom buddies with Russia, is that they've announced that South African passport holders can now travel visa-free to Russia. Dubai’s cabinet has signed a new resolution (number 22 for 2014) which will see visa charges to Dubai undergo a 45% hike. The new resolution comes into effect on the 13th of November 2014. South African passport holders currently pay R1500 for a stay of 14 days or less. South Africans will now be paying R2175 for a visan from the 13th of November 2014, that’s a hike of R675. Mozambique (Note that all non-SADC nationals require a visa to enter Mozambique. This also applies to cruises from Durban to Mozambique - visas are no longer being issued on board, and need to be obtained prior to the cruise). (New Zealand is no longer on this list. Since 2016 South Africans have required a visa to visit NZ; because too many South Africans were getting stopped at the border. Click here to see how to apply for a visa to New Zealand). 9 March 2017: New article we've written: Read about how to get an Indian visa if you're South African. From the 6th June 2013 fingerprints will be required for Schengen visa applications - meaning that you will need to appear in person (children under the age of 12 are exempt). Bear in mind that if your visa application is unsuccessful, you wont be refunded your application fees, so be sure to get it right the first time. Also, you usually need to have booked your flight ticket before you apply for a visa (assuming you need to fly), so be doubly sure you'll get your visa before you even buy your airline ticket. Our readers are our writers. Email us a travel experience and we'll send you a travel voucher to discount the cost of your next flight, cruise, car rental or accommodation booked with us. My 4th experience to remember came a few weeks later when we decided to catch a hydrofoil from Rhodes to Turkey, for a day trip. Fortunately we had booked but not paid for the trip. We arrived at the harbour and were about to board the hydrofoil, when one of the immigration officials asked us where we were going to go after Turkey. We told him we were planning to come back to Greece. It transpired that if we left Greece we would not be allowed to return to pick up our bags and flight tickets – the reason being that we only had a single entry visa. So lesson number 4 for any adventurous traveller is: “Make sure that you have a double-entry visa, (preferably before you board a boat) ”. By Carol Clifford. For Carol's first 3 lessons in travel, see (1) why bags must have wheels, (2) when in Austria do as the Austrians do, and (3) local cuisine may differ from what we're used to. As a South African, what would you need in order to secure a visa to your chosen international destination? First and foremost you have to check the current validity of your passport. Make sure that the expiry date is far from the dates that you would be travelling, with at least 6 months of validity remaining on your passport when you complete your travelling. Your passport should have at least 2 or 3 blank pages left, for stamps upon your arrival and departure. You need sufficient funds since travelling can be very costly. The exact monetary requirement differ from one country to another. You will in all cases need to supply bank statements, and proof from your bank that you have sufficient funds. You need to confirm if a transit visa is required and if there will be a connecting flight. The airline that you have chosen can provide you with this information. It can be a case that a specific country you pass through en route to your dream destination would require a different transit visa. You need a return ticket to where you're from as well as a flight ticket to where you're headed. Both are needed of course or else you might not go through. And by the way, there's also this thing called a Yellow Fever certificate that you need if you are going to be travelling through certain countries. 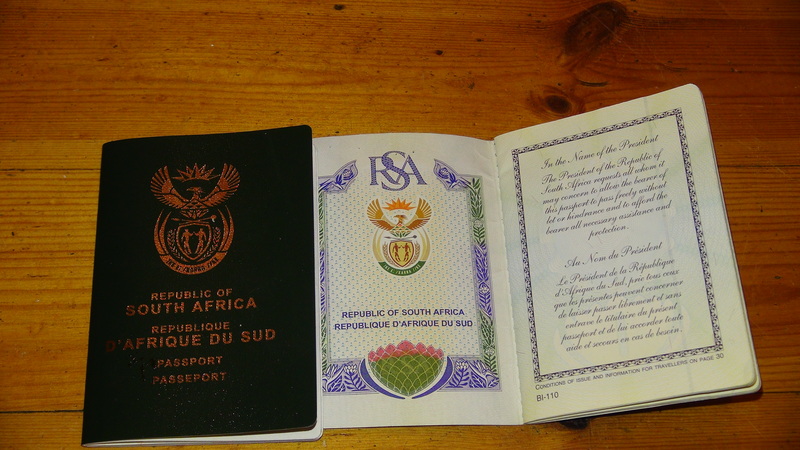 Owners of a regular South African passport are allowed to enter a number of countries without the need of visa. Application before travelling for a visa is required for territories or countries not mentioned below. Although visa-free access is allowed, such ability is not necessarily a right, and entrance to a country is dependent to the judgement of border enforcement officers. If you are a visitor who wishes to get possible employment then you would need a work permit or a visa for that matter. If you already own a South African passport, you can check South Africa's government websites with regards to purchasing travel visas and how to apply easily. There are also a lot of agencies and specialists who can give you a complete and free visa assessment. They can help in making the complex visa application and step-by-step process simpler and faster. In line with this, here's a comprehensive list of countries in which a visa would be unnecessary. Canada (VFS has agreed with the Canadian High Commission in Pretoria to open a Canadian Visa Application Centre on 1 August 2013 in Pretoria - applicants can choose to use this centre or Citizen & Immigration Canada's online application system). Northern Ireland is not a seperate country, so see UK Visa Requirements. Passport holders can also enjoy visa exemptions, but only for certain countries. Meaning south africans can travel, but only limited to business purposes or holidays, to a certain country without a visa for a known period of time. Requirements can change from time to time so it is best to double check the necessary requirements and all other paperwork before each trip. The listed countries information below regarding visa's is not yet available and will be included at a later time. Before boarding the plane, take the time to study the financial, economic and cultural environment, customs AND political stability of their dream destination. Try learn basic introductions and greetings or maybe a few important phrases in that country's language. Even a humble good morning in the local language will go a long way and would be appreciated by the locals. When travelling internationally the law of the foreign country would apply to everyone. Foreigners or locals alike there is no bias. South Africans are not exempted from any local foreign legislation. Thus, special treatment cannot be expected. Research and ask around about the country with particular attention to questions on personal security, health, safety, immigration, import regulations and of course traditional and accepted customs. Contact information should be available at all times should anything untoward would happen. A permit is your certificate of permission to visit and travel in a foreign country. A permit or visa does not guarantee entry since it is the immigration officials discretion if you are able to step inside a foreign land or not. So good luck with that! If one would not be able to comply with these requirements or might just overstay on your tourist visa you would be subject to one or any or any of the following: gaol time, charged, blacklisted and deported. Not to scare you off but to be able to have a successful trip, preparation and knowledge of the visa requirements is of importance. Have fun! If you are not South African and want to visit the country, see visa requirements to visit South Africa. Note that it's possible that the information in this document has changed since it was written (indeed it's entirely likely that some has, as visa requirements regularly change), so please refer to the appropriate embassy for the latest requirements. 4 Feb 2019: Tourism Minister, Derek Hanekom, reveals that SA is considering issuing 10 year multiple entry visas for Chinese nationals; and may recognise other visas in their passports, like an Australian, United States or Schengen visa. 1 September 2014 : Thailand’s Immigration Bureau has announced that South Africans can now get a 30-day extension to the current 30-day visa free stay that is currently allowed. South Africans who are applying for Visa Exemption as tourists in Thailand were eligible for a 30-day period but they can now stay in Thailand for 60 days if they choose to apply for the new 30-day extension. The application will cost 1900 Baht per person which is approximately R635. If the application is not successful then visitors will have to leave the country within 7 days after the 30-day period has expired. April 2015: The UK launched a 24-hour visa service in South Africa, amongst other countire. This service is not cheap however as it is also available in China and India for an additional 600 pounds (R9905 as of 27 June 2017) above and beyond the normal visa fees. This speeds up the processing of the visa application but does not guarantee a succesful application. Great for business travellers! Our UK visa guide contains useful information about the application process. 21 August 2014 : The Department of Home Affairs has announced that from 1 September 2014 they will no longer issue temporary passports. Instead they will issue an Emergency Travel Document. This is because they believe they will be able to issue new passports in time and because temporary passports were involved in too many fraudulent activities. 19 August 2014 : Kenya has temporarily suspended its Visa requirements for South Africans whilst the South African government is negotiating with them to make it permanent. 2 October 2013 : According to the 2013 Henley & Partners Visa Restrictions Index, the passports which allow you to travel visa-free to the most countries are from the UK, Sweden & Finland. And the worst - Iraq and Afghanistan. South Africa is in 74th place, just behind Russia, but ahead of St. Lucia and Turkey. 30 August 2013 : At the UN World Tourism Organisation, SADC countries again commited themselves to a Uni-Visa system, to allow travellers to southern Africa to only have to obtain a single visa to visit all SADC countries. The GCC (Gulf Cooperation Council) plan to have a single unified tourism visa, similar to the Schengen territories, by mid-2014. The plan is for the visa to be valid for a month, and it's expected to stimulate tourism (no doubt it'll help do that). The GCC consists of the United Arab Emirates (which includes Dubai & Abu Dhabi), Saudi Arabia, Qatar, Oman, Kuwait & Bahrain. "Baby, I've been thinking 'bout a trailer by the sea. We could go to Mexico you, the cat and me. We'll drink tequila and look for sea shells. Now, doesn't that sound sweet?" Don't be under the illusion that it's going to be all sunshine and butterflies just because you've moved. It's going to be difficult and require hard work. You'll be lonely for a really loong time - it's crippling. It'll be hard to say goodbye at the airport (but it'll be even harder to say goodbye for those who're staying behind - you're doing what they want to do, but don't have the guts to do). It's harder to make new friends as an adult, in this respect your children will probably adjust quicker. Those friends you do make you wont have a long history with and the same connectivity. Your marriage or relationship will suffer a range of strains, especially if one partner was more keen to emigrate than the other. You will use social media and messaging apps to stay in touch, probably very frequently at first. You'll invite your family to visit you and you'll return regularly on holiday. A sign of progress will be when you start holidaying elsewhere. You will likely find some respite by friending fellow South African emigrants who are going through the same experience. If you're single, try online dating - falling in love is great for soothing the pain; having children and them going to school in your new country lays deep roots. You may start drinking more, or even turn to using drugs. It'll never be the same (but will hopefully eventually be better), expect at least 3 years of loneliness and longing for being back in the vaderland. Your standard of living may change. It will ease the pain if you're earning more than back home; but you need to be earning more net of expenses (which are typically higher than in South Africa). You may find that you have a degree, but can't find a job, so have to do something completely different - maybe become a bus driver. Whatever savings you made in SA will likely have a far lower purchasing power in the new country, and you will likely have to retire at an older age. You won't have the luxury of a dedicated domestic, gardener and au pair. The more likely scenario is that you'll get a business to come in once a week to do a thorough clean. The fresh start may energise you to go out and do things and meet people; rather than sit at home boozing. The benefits of emigrating show themselves most strongly over the medium to long term, and over time you'll find that you're living your dream existence. Exposure to a new culture and place may result in you broadening your view on what is possible, and you may start doing things you'd never have thought of doing back in South Africa. If you were previously depressed, you may find a new lease on life.